Read about 8 more teachers who are using English Banana.com Free Licences! If you would like to find out more about our free licences, please click here. Categories: English Banana Trust, Free Licences, Free Printable Worksheets, News, recommended | Tags: book, English, ESL, ESOL, free, free copying licence, free licences, get, material, worksheets | Permalink. 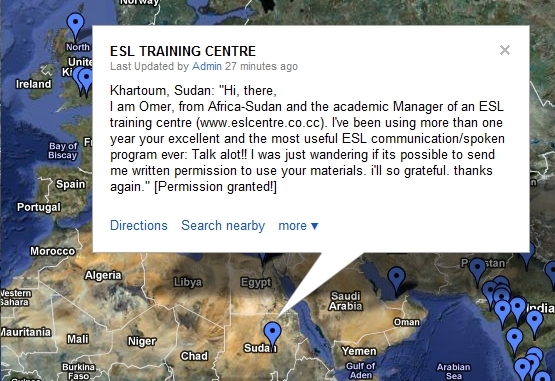 4 New Stories at our Certificates Map! Categories: Free Printable Worksheets, News, recommended | Tags: English, ESL, free licences, material, speaking, Talk a Lot, teacher | Permalink.